Equity benchmarks closed flat with a positive bias after consolidation on Monday but the broader markets outperformed on further value buying. Banks underperformed after CRR hike news announcement by RBI while ITC helped the market close in the green. The 30-share BSE Sensex was up 33.83 points at 26350.17 and the 50-share NSE Nifty gained 12.60 points at 8126.90 while the BSE Midcap index jumped 1 percent and Small cap rose 0.66 percent on positive breadth. About 1658 shares advanced against 936 declining shares on the exchange. Bharti Airtel buys Econet stake in Nigerian arm. Ashok Leyland completes acquisition of Nissan’s stake. 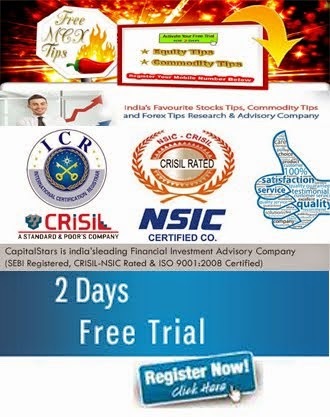 The crucial resistance for Nifty spot is now seen at 8151 and above this 8210 Support for the immediate term is now placed at 8055 and next support will be 7930. Footwear major Bata India on Friday reported a 36 percent fall in its standalone net profit to Rs 34.59 crore in the quarter ended September 30 as compared to Rs 54.35 crore in the corresponding quarter last year. Company's net sales in the quarter under review stood at Rs 583.4 crore, up 2 percent from Rs 574.5 crore. The shoe-maker said that in the quarter, it strengthened its men's contemporary range with the launch of Bata European collection, an entry in the women's festive segment and expansion of omni-channel presence across stores. "We started delivering a richer international experience with the launch of destination stores across multiple cities. To further augment the consumer experience, we continue to scale up the omni-channel presence. We continue on our path of launching premium footwear for men and women and consolidating our style relationships with today's discerning consumers," said Bata Emerging Markets' President-South Asia Rajeev Gopalakrishnan. Company's net profit before tax for the quarter stood at Rs 50.4 crore, up 32 percent over the same period last year. Equity benchmarks snapped two-day winning streak Thursday with the Nifty closing below 8000 level amid consistent weakness in rupee and expiry of November derivative contracts. Continued disruption in Rajya Sabha by opposition parties over demonetisation also dented market sentiment. The 30-share BSE Sensex was down 191.64 points or 0.74 percent at 25860.17 and the 50-share NSE Nifty slipped 67.80 points or 0.84 percent to 7965.50 while the broader markets outperformed benchmarks. 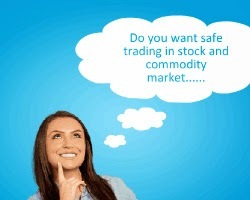 The BSE Midcap and Smallcap indices declined only 0.1 percent as the market breadth was positive. About 1350 shares advanced against 1205 declining shares on the exchange. In November series, the Sensex shed 7.4 percent and the Nifty lost 7.6 percent, the biggest loss in a series since August 2013. Private banks, oil, FMCG, select auto and pharma stocks were under pressure whereas technology and PSU banks bucked the trend. The Company has posted a net profit of Rs8.13 crore Vs Rs19.81 crore. Total Income has to Rs756.56 crore Vs Rs675.09 crore. Tata Motors along with its Sri Lankan partner, Diesel & Motor Engineering PLC (DIMO), have launched a new world-class sales, Service & Spares facility catering to the company’s range of commercial vehicles in Kurunegala district, Sri Lanka. The new facility is the largest integrated Tata Motors commercial vehicles dealership in the country, with a wide display area, for Tata Motors entire range of trucks & buses and would enable Tata Motors to boost sales. Brigade Enterprises, one of the leading real estate developer in India has said that it has recently launched the country’s first real estate focused accelerator program. The accelerator will mentor startups whose products or services can be used in the real estate industry across various domains be it Residential, Office, Retail or Hospitality. Brigade REAP will be a Microsoft Partner Accelerator. Microsoft Accelerator is a global initiative empowering entrepreneurs around the world on their journey to build great companies. The Company has posted a net profit of Rs35.30 crore Vs Rs31.80 crore. Total Income increased to Rs536.90 crore Vs Rs498.50 crore. Investment &amp; trading in securities market is always subjected to market risks, past performance is not a guarantee of future performance.